1.Purchase a license plate today! "Discover NJ History" license plates support projects that develop and promote visitor ready sites as heritage tourism destinations. 2019 Preserve New Jersey Grant Round Now Open! 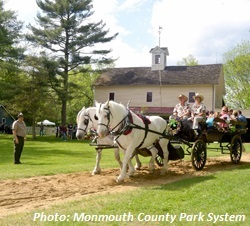 The 2019 Preserve New Jersey Grant Round is now open and accepting applications for Historic Site Managment grants, Capital Grants (Level I and Level II), and Heritage Tourism Grants. Click here for more information about the application process and the grant guidelines! A study by the Newark Board of Education and Historic Preservation Office identified 23 schools that are eligible for listing in the NJ Register of Historic Places. A Trust grant will help fund the nomination for six schools. Several matching grants awarded to the Naval Air Station Wildwood Foundation helped restore the exterior of this World War II site, now a musuem of historic aircraft in Cape May County. 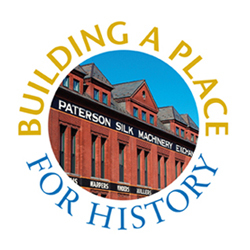 Check back for more information about the next New Jersey History and Historic Preservation Conference! traveling to experience the places and activities that authentically represent the stories and people of the past. Support Heritage Tourism and BUY a "Discover NJ History" plate today!